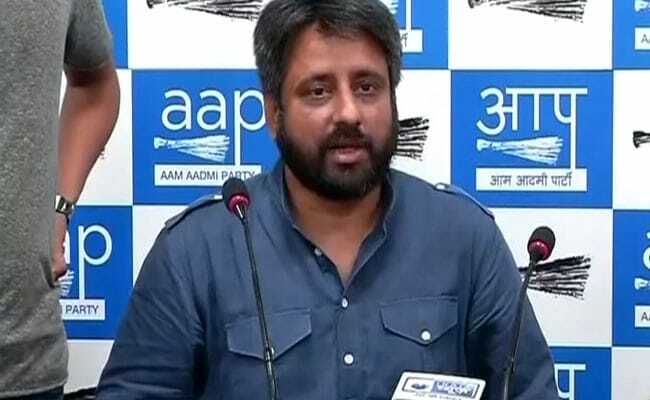 AAP lawmaker Amanatullah Khan was unanimously elected as the chairman of the reconstituted Board on Tuesday, two years after he resigned from the panel amid allegations of corruption. The new chairman of Delhi Waqf Board Amanatullah Khan on Wednesday took charge of the office and suspended two officials of the board under various charges, an official said. The suspended officials were Waqf Board section officer KA Farooqui and accountant Musaleen Ali, the Waqf Board official said. The suspension order signed by Mr Khan stated that both were suspended for engaging in "activities prejudicial to the interest of Delhi Waqf Board which have resulted in financial loss to the Waqf Board." The Privilege Committee of Delhi Assembly had also recommended action against the two, the official said. A four-member committee has been formed to probe the allegations against them for further action, he said. The board is also looking into complaints of "corruption" against two other officials of the panel, he said. There were complaints of Waqf Board officials indulging in "corrupt" activities related with land and advertisement revenue and now the new chairman who has pledged "zero tolerance" against corruption is taking up the matters, he said. Delhi Waqf Board is a seven-member panel that oversees management of over 2,000 valuable properties including land, buildings, shops and graveyards spread across the city. Mr Khan had held the post of chairman for nearly six months before resigning from the post in September 2016 amid allegations of irregularities. Last year, the Okhla lawmaker was again elected as the member of the board, but the Lieutenant Governor's approval for his appointment was awaited. In October 2016, then Lt Governor Najeeb Jung dissolved the Delhi Waqf Board after two of its members resigned alleging corruption and a CBI probe was ordered by him. In December last year, Lt Governor Anil Baijal had directed the revenue department to probe allegations by Leader of Opposition in the Assembly Vijender Gupta that the Delhi government was trying to reconstitute the board in "utter violation" of the Waqf Act.